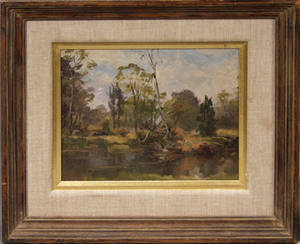 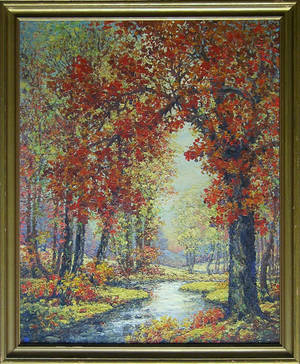 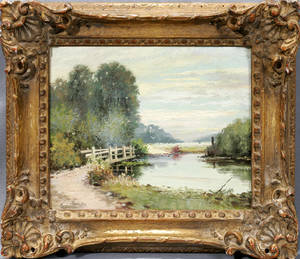 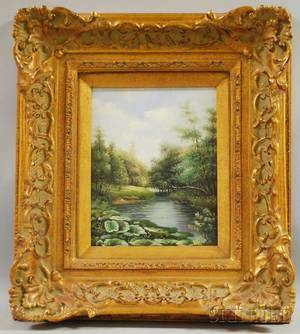 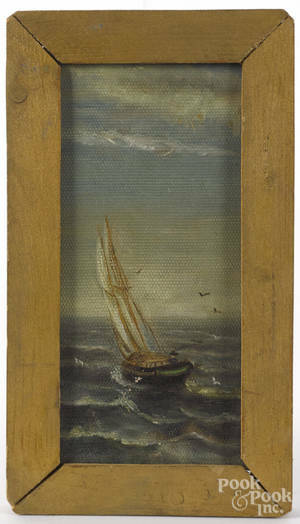 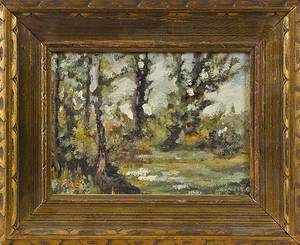 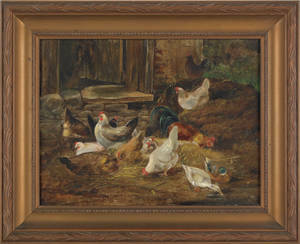 Oil on board landscape, signed "Wm. 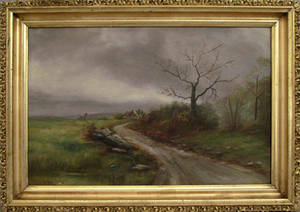 Roberts", 30" x 24". 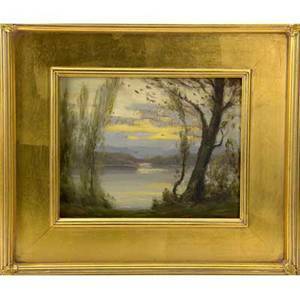 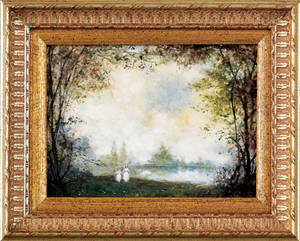 Gustave wiegand (american 1870-1957) oil on board landscape, "evening at lake sunapee, n.h." christmas 1938. framed. 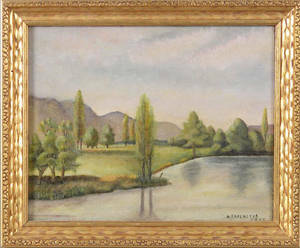 board: 8" x 10"